Contact us today for a quote on these top quality products! This battery is specifically design for solar applications. 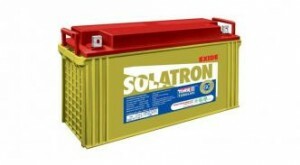 Batteries like these are usually exposed to harsh environments which require an extremely tough battery. That’s why Solatron make these batteries with quality in mind. Typical applications include: Solar Home and Street lighting, Solar Photovoltic systems, Hybrid system power backup and much more.